Life Jackets Save Lives - When They Work! "Thank you for your excellent advice. As a sail training instructor I know the need. Can I suggest that you consider also emphasising the need to check the life jacket before putting it on? The number of times on sail training yachts I have found the gas cylinder is either not properly screwed in or has actually been discharged is legion! 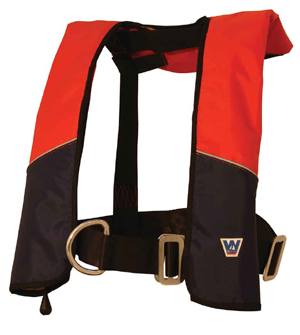 Unless the cylinder is firmly secured it will fail to inflate the life jacket if fired." We at Thornham Marina believe strongly in wearing a life jacket while out at sea and thought we would share our advice on why it is so important in the unpredictable conditions of the sea. It could buy you time & save your life. Firstly make sure that life jackets are readily available and accessible on board, RNLI research has found that out of 98% of people carrying a life jacket only 52% often use them. Whilst buying a life jacket make sure you check the fit, it won't be as effective if it is not snug around your shoulders as it won't keep your head afloat. If it is too loose, the floatation will push the jacket up around your face. If it is too small, it won't keep your body afloat. It is also a good idea to choose a brightly coloured life jacket so that you can be easily spotted if you do fall into the water. All of this information is very useful, but... what happens if you fall into the water and you life jacket doesn't inflate? This is why it also just as important to get them serviced annually. Thornham Marina have teamed up with Seasafe to provide boat owners with a hassle free servicing station. 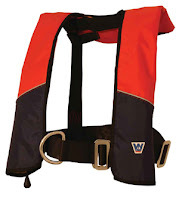 Make sure your life jacket works, get yours serviced! With the launching season approaching I thought I’d post some little weekly tips from our Tenants on-site. Our first tip is from Steve Hulme who about how to maintain your teak decking. "As the colder months approach and preparations begin for your boats winter lay-up, it is advisable to keep an eye on your teak decks. After a rain shower or having been washed, whilst your deck is drying, check your rubber seams. If they are staying wetter than the rest of the deck it is conceivable that the bond between the rubber and teak has failed, and should be repaired as early as possible. If water becomes trapped within the seam it can track along the bottom of the seam and can cause long term problems that are not immediately obvious, for example; leaks into the cabin, rotting out the teak from the underside, rot to the top of deck beams (traditional laid deck) or osmosis of the fibreglass sub deck. All this is worst case scenario and more often than not the repairs can be performed relatively quickly". We hope you found that useful...and fingers crossed those rubber seams do their job! Don't Be Left Holding The Roller This Year. Call Thornham Now! With our fantastic deal you can save yourself 10% by booking before the 15th of Jan. Based on an 8m boat your antifoul should cost you £223.20 but with our early bird deal your antifoul will cost just £209.84. Let me explain what will happen when you book. I will give you a quick call or email to find out where your boat lives during the summer period so we can apply the right type of antifoul. I will also find out what colour you would like. We have 5 colours available, Shark Grey, Mid blue, Navy Blue Red & Black. Once you have a decided what colour and type, and when we have a rough launch date for you, we will pencil in a time to antifoul her. Of course this depends on the weather, but it saves you rushing down as soon as the sun shines! Before the boys start Cliff or John will lightly rub down the hull and remove any flaky bits. Once she is ready they will apply 2 coats of antifoul. This should be enough to last you 2 seasons, according to the manufactures instructions. Primer can be applied at an additional cost at the Boat Owners request. Just before she is ready to start her summer escapades Cliff or John will touch up the patches where the pads/shores have been. Does this deal sound good to you? If so make sure you take advantage of our great offer! Call or email myself or Jeanette now on 01243 375 335 / info@thornhammarina.com ! If you don’t want to be left holding the roller this year, call now!